Looking for another drought-tolerant garden specimen that can take up some real estate plus act as a hedge, be deer resistant and handle chilly temps (below -20 to -10 F)? 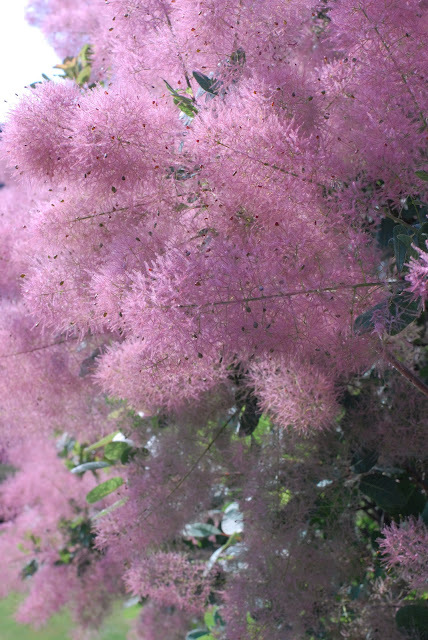 Annie’s pick of the week is the Cotinus coggygria purpureus, the Purple Smoke Bush. 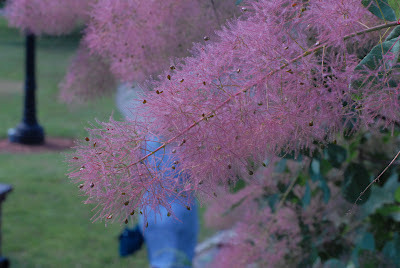 Just imagine what these feathery-like plumes could look like as a cut flower in a sleek glass vase? Although its showiness can be short-lived, it’s worth that extra summertime splash. And as Oscar Wilde pointed out, “No object is so beautiful that, under certain conditions, it will not look ugly.” Enjoy the beauty of the blossom!